Join us as we discuss where the field is heading through interviews and webinars with our STEMCELL scientists and our colleagues at other institutions. Access helpful resources, including tips to make the most of your classic and newer cutting-edge assays. Much like the experiments that make up your publications, these resources will be divided into focused phases addressing specific types of assays, and will build over time to create a unified story. We will begin with the step of obtaining cells; “Cell Sourcing & Isolation”, moving over to “Expansion & Differentiation”, and finally to “Analysis”. Follow us on Facebook, Twitter or LinkedIn for updates on new resources including researcher interviews, tech tips and special offers including information about travel awards, webinars and contests! An interview with an up-and-coming expert, Dr. David Knapp, Postdoctoral Fellow at the University of Oxford. Learn more about David’s work on hematopoietic stem cell identity and behaviour. Great care must be taken when isolating CD34+ cells from cord blood. Use these helpful tips to achieve high purity and cell recovery. 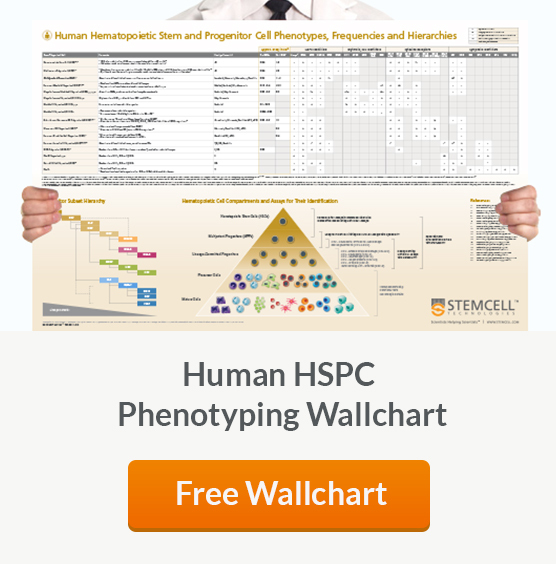 This free wallchart provides an overview of human HSPC subset surface markers, frequencies in cord blood and assays for their analysis. Flow cytometry is a key tool for interrogating highly specific HSPC populations. Find information about HSPC phenotyping to set up an antibody panel and proper gating strategy. View our recorded webinar with Dr. Imren as she discusses factors affecting the balance between HSC self-renewal and leukemic transformation. Get tips and tricks to help you plan your next HSPC expansion experiment, whether it’s testing new molecules for expansion or producing CD34+ cells for downstream use. What does sleepwalking have to do with getting a PhD? Hear from Dr. Gray about his unique path to studying T cells and the role of apoptosis in immune tolerance. Take your experiments with erythropoiesis a step further with these 4 steps for promoting the maturation of erythroid progenitor cells in vitro. This free wallchart, produced by Nature Reviews Immmunology and Molecular Cell Biology, provides a reference on the factors influencing HSC mobilization, quiescence and differentiation. Daughter. Scientist. Ultimate Frisbee Champ. Get to know PhD candidate Courteney Lai in this interview about her work studying leukemogenesis. 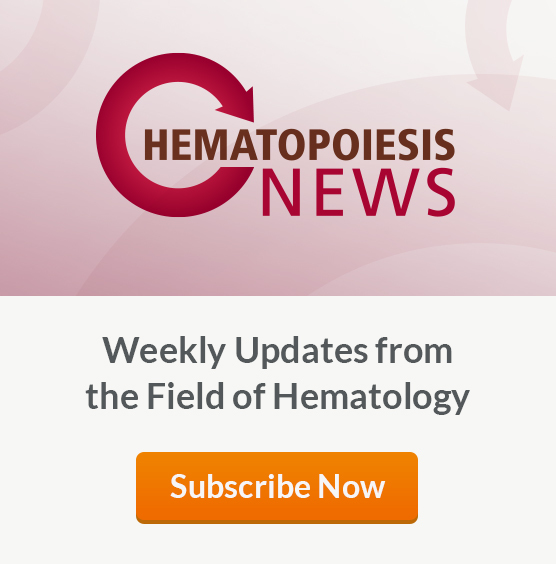 Use these tips to better understand how the right medium can make the analysis of your hematopoietic CFU assays clearer. View our recorded webinar with Dr. Shoulars as he discusses the development of the ALDHbr assay for cord blood potency testing. Find everything you need to know about preparing the proper single color controls, FMOs and gates to accurately analyze ALDHbr assays.